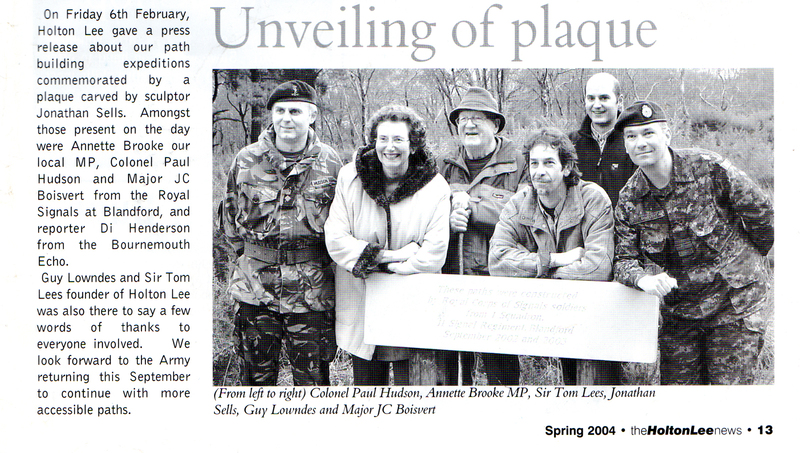 Below: Jonathan Sells at the unveiling of a plaque he carved for Holton Lee, in Dorset. Friday 6th February 2004. The above article is from Holton Lee News, Issue No. 18, Spring 2004.